South Korea wanted to show the world its advances in robotics, and what better global showcase than the Olympic Winter Games of Pyeongchang. It is said Ski Robot Challenge that just over 85 robots are helping in tasks with tourists, such as waiters, cleaning services, guides inside the airport, and even as Olympic athletes, because, yes, the robots also had their own Olympic competition. This is the first Olympic Games with such a large number of robots, and for this reason, they have decided to take advantage of them not only for support tasks, but also to give a kind of spectacle while supporting local universities in the development of this technology. 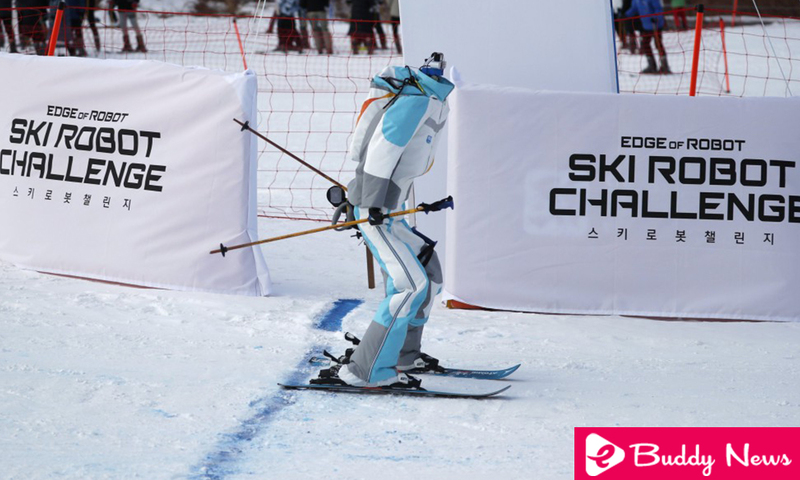 The tournament is called ‘Edge of Robot: Ski Robot Challenge’ and eight teams participated, including research universities, institutes, and private companies, who competed for a prize of $ 10,000 to see who was able to manufacture a robot that arrived at the goal in the shortest time skiing downhill. The competition was held in Welli Hilli, a ski resort about an hour from where the Olympic Games are being held. Temperature teres of this place caused the robots not to work correctly, so it turned out to be a challenge for the teams. Also, these robots had to meet certain requirements to be able to compete. For example, they had to be able to stand on two legs, have joints on their elbows and knees, have an independent energy system and measure more than 50 centimeters, as well as obviously have skis and poles. The tournament was won by ‘Taekwon V’, as well as Gundam, who had a height of 75 centimeters and was the fastest to reach the finish line, besides being the only one able to avoid as many obstacles thanks to his cameras and integrated sensors. Such amount of robots and this type of events that serve to put them to test could seem amazing, but already it has left Japan to say to us that we are not excited yet, since its next Olympic Games of 2020 we will see more than 200 robots in diverse activities and disciplines.